A worksplate from Deltic D9003 Meld led a diesel one-two at Talisman’s August 12 sale at Newark, selling for £5500. The Class 55 was built by English Electric in 1960 and after strutting its stuff on the East Coast Main Line it was withdrawn as No. 55003 in December 1980 and cut up at Doncaster three months later. Behind at £4200 came nameplate Atlas from D1667/47082, which emerged to traffic from Crewe in 1965 and was named in June 1966. Third up was an LNER seatback nameplate from Nottingham Victoria station that opened in 1900 and closed in 1967 (£2100), shadowed by a pair of Hudswell Clarke 1961 worksplates from an industrial diesel that was sold as a single lot (£1550). A bid of £1400 secured a Midland & Great Northern Joint Railway ex-Holbeach handlamp, and an early Great Northern Railway single line tablet went to a new home for £1250. 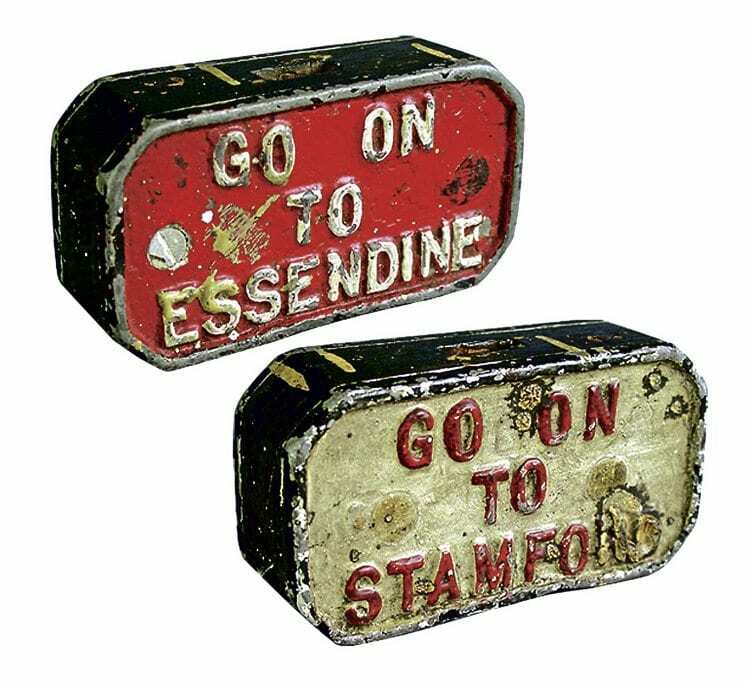 This item, from the Stamford-Essendine branch, came in the form of a double-sided lozenge-shaped tablet lettered ‘Go on to Stamford’ and ‘Go on to Essendine’ that slotted onto a bracket in the locomotive cab. 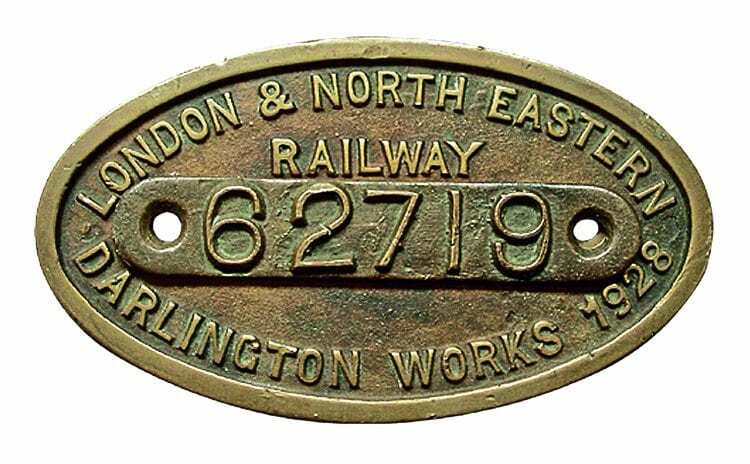 Jointly at £1050 each were the nameboard from the quaintly-named Maud Foster signalbox on the East Lincolnshire line north-east of Boston (opened by the GNR in 1877 and taken out of use in 1985), and a Great Eastern Railway police force helmet plate, while a 1928 LNER works numberplate from Class D49 4-4-0 No. 62719 Peebles-shire was close to four figures at £900. The prices exclude the buyer’s premium of 10% (+ VAT). Talisman’s Roger Phipps said: “There was a good attendance considering we were deep into the holiday season. The successful bidder of the Deltic worksplate was bidding poolside in Greece, so he had a nice holiday present, and indeed the locomotive items generally sold very well. Read more Railwayana in Issue 233 of HR – on sale now!